Advanced Freezers for the processing and handling needs of the diverse pastry industry show you how to handle all types of bakery goods with our premiere custom spiral freezers. We have 30 years of real-world manufacturing of spiral freezers for bakery goods in food processing plants. For pastry freezer products from bread to cakes and cookies to pastry and pasta. 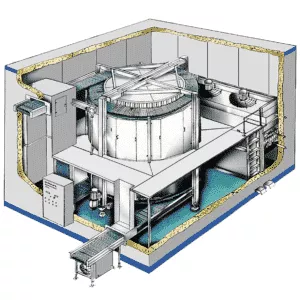 We understand the dry foods and bakery sector covers a diverse set of flour-based products including bakery mixes and frozen dough products and that you need a Spiral Freezer tailored to your plant and products. This wide diversity offers a wide range of challenges. Advanced Equipment offers Bakery Spiral Freezer solutions. We know food processing plants need to increase processing automation and lower production costs all without compromising product quality. Advanced Equipment custom designs spiral freezer systems to meet your processing specifications for bakery products. Every system we build is a custom system tailored exactly to your needs. We also offer spiral freezer systems that run more effectively for you as they are designed for you in every possible way. We manufacture Spiral Freezer equipment specifically designed to fit your food processing plants needs. Advanced Spiral freezers ensure excellent product freezing quality and reduced shrinkage loss. We custom design our IQF Spiral Freezers to the food processing plants needs for both the sizes of product to be frozen and the capacity needed. Our IQF Spiral Freezers help achieve high-quality IQF pastry and bakery freezing without compromising either the energy efficiency or the yield. Advanced Equipment appreciates that cleanliness is a priority for food plants. Advanced freezers offer our own CIP 'Cleaning in Place' Technology along with over 30 years of reliable food freezing equipment for Bakery Food. 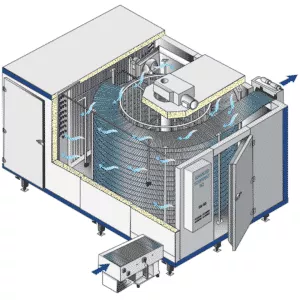 The Advanced CIP System For Spiral Freezers Provides A Sanitary Design Of A High-Efficiency, Energy-Saving Cleaning Solution For Reduced Operating Cost, Ease Of Cleaning, And Trouble-Free Production. More Info on Sanitation. If you are looking for the best return on your spiral freezer investment, you should give us a call. 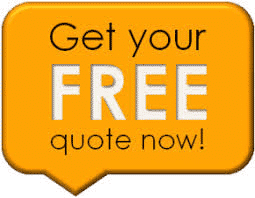 You can also schedule a free consultation about your plant and our line of custom spiral freezer solutions.